Thousands of local runners and walkers carve time out on Thanksgiving Day morning to celebrate an annual tradition, burn some extra calories and breathe in the beauty of Cincinnati. It doesn’t involve turkey, pumpkin pie or sitting around a table. It’s all about being on your feet and running, walking, laughing and playing together on the starting line of one of the oldest and best turkey trots in America - The 109th Western & Southern Thanksgiving Day 10k. “It’s one of those beautiful Cincinnati moments where time seems to stand still and being together with friends and family is the only thing that really matters,” said John Barrett, president and CEO of title sponsor Western & Southern. The very old event has lots of new features this year including a high-tech quarter zip pullover, free hats, Tide PODS®, gift cards and more great stuff for everyone. But there something “OldNew” too! 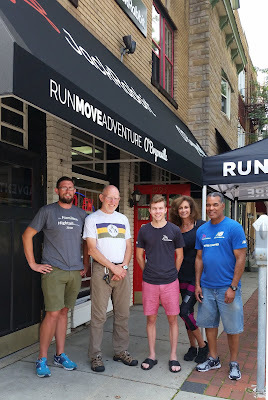 The official race headquarters and packet pick-up - the Old Running Spot in O’Bryonville - is now the new JackRabbit O’Bryonville. 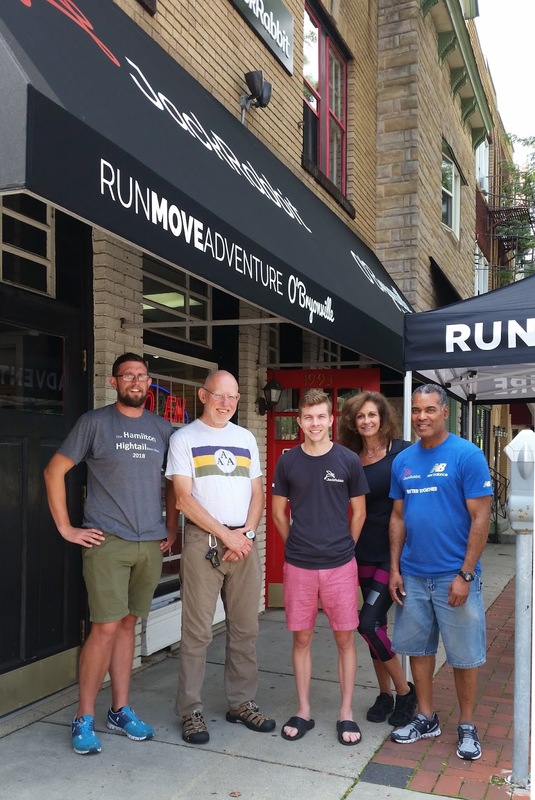 Although local running legend Bob Roncker and his wife Mary Ann of Hyde Park sold the store back in 2013 and retired, the name change didn’t happen until recently. The change was a little nostalgic for Bob, who has been involved in “running” our community and being the W & S Thanksgiving Day Race headquarters for 36 years. Present at the grand re-opening of the JackRabbit O’Bryonville store are Alex Ranton, Regional Marketing Manager, JackRabbit; longtime former Running Spot owner Bob Roncker; Jeffrey Denny, Store Manager; and Jody Collier and Ed Colley, who have worked for both Bob and now JackRabbit for totals of 14 years and 17 years respectively. The good old parts about the race that have been around for 109 years are still around. Everyone who walks into the race headquarters on Madison Road has a happy bounce to their step; and, the great race volunteers from St. Ursula Academy, Girls on the Run and Alzheimer’s are still waiting and ready to encourage, inspire and help people with race registration, race packets and even new running shoes. The same old great stuff holds true for the starting line. You will see Hyde Park resident and emcee for 15 years - Mike Brown - on stage announcing the race in his flashy sequined Elvis outfit. Joining Mike Brown will be another old tradition - the breathtaking voice of opera singer, Mary Southworth singing the National Anthem. The renowned East Walnut Hills resident has performed with the CSO, Cincinnati Opera and the May Festival. 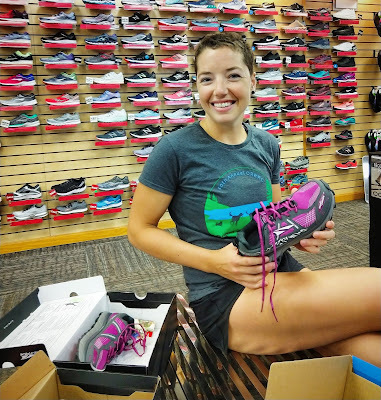 Kaitlin Ryckman enjoys coming in to JackRabbit O’Bryonville to talk about trail running, especially shoes for ultrarunning. Kaitlin has completed a 100-mile ultramarathon and simply loves to run. “Singing to 15,000 people with our beautiful city as a backdrop is a magical moment for me,” said Southworth, who is celebrating her seventh year singing and running in the event with her whole family. This year’s theme is Be Beautiful Cincinnati. 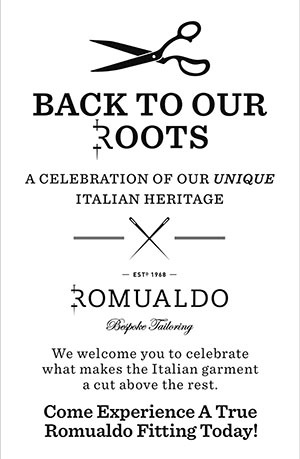 The poignant theme brings everything we know and love together on the most thankful day of the year. 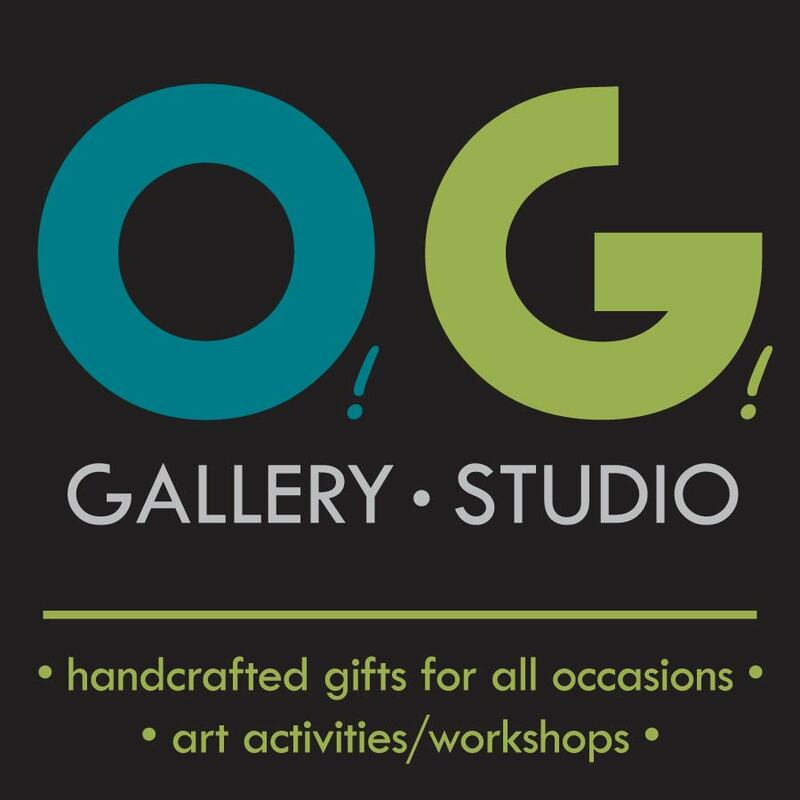 In addition, the race raises thousands of dollars for charities like the UC Barrett Cancer Center, Girls on the Run and Dragonfly Foundation; and it includes a Goodwill Coat Drive where thousands of people bring a warm donation - coat, gloves, hat - and Goodwill volunteers personally collect the items. 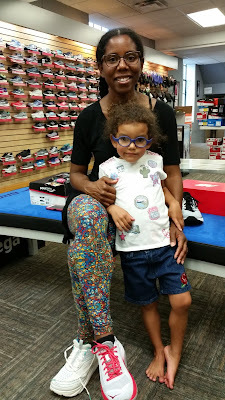 Customer Ebony Grieb brings daughter Ruby along as she tries on running shoes. The 10k Walk and Run also includes a Kids Run. The non-competitive loop course is on Second Street, and the kids start and finish at the official start and finish line race banners – just like Mom and Dad. Each child is greeted at the finish line by their parent(s) with a shiny medal. Just imagine your whole family together on Thanksgiving Day morning - unstuffed, happy and oh so healthy. The website thanksgivingdayrace.com has online registration, plenty of training advice and healthy tips to help you lose weight, train smart and learn how great you can be. Packet pick-up and additional registration is also available at JackRabbit O’Bryonville from Nov. 17-21, and race day registration is at Paul Brown Stadium. 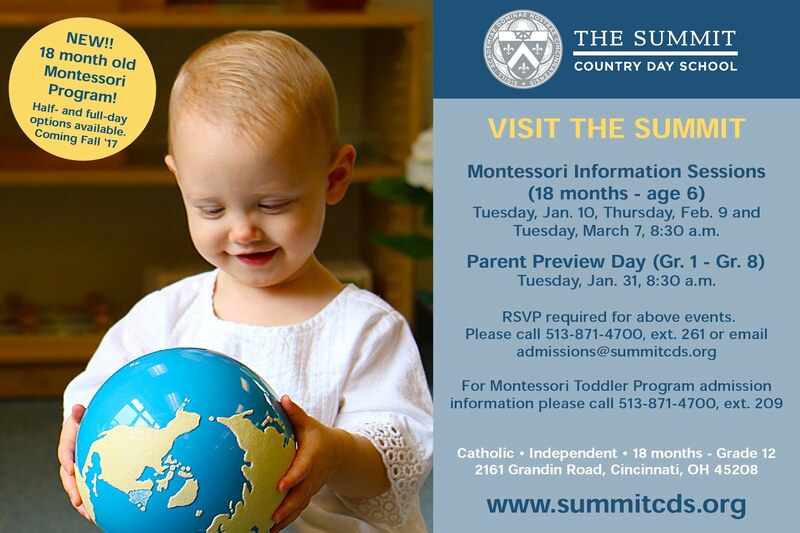 The event is sponsored by lots of local companies including Western & Southern, TriHealth, TQL, JackRabbit, Secret, Mercedes Benz of Cincinnati and West Chester, MCM CPAs & Advisors, Mt. 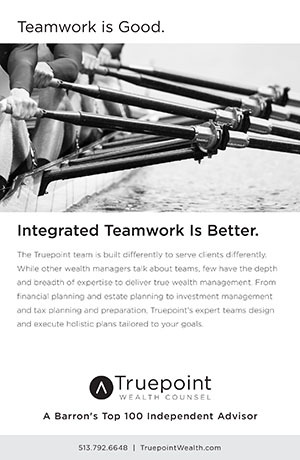 Lookout Chiropractic, Modo Yoga, Tillar Wenstrup Advisors, Roehr Agency, PopCorners, Hoist, KnockBack Nat, 50 West Brewery, Wealth Planning and Iheart media. Habits become routines, routines become traditions and traditions become a part of our lives. It’s Beautiful Cincinnati!